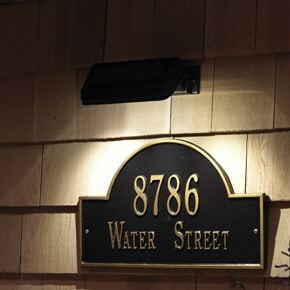 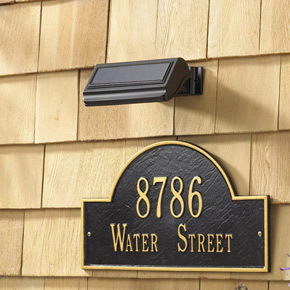 The elegant Hillsdale address plaque is constructed of USA made, high fired vitrified ceramic, built to withstand any weather condition. 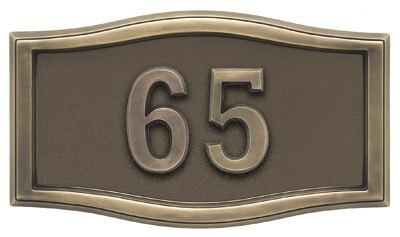 The cast frame is hand crafted from rust-free aluminum and comes in two finishes to compliment the ceramic plaque. 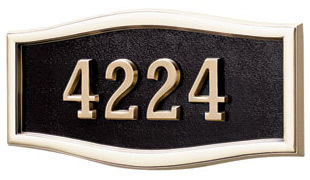 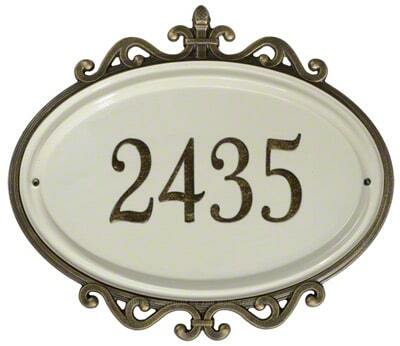 The Hillsdale One Line Address Plaque holds up to five 2.5″ numbers. 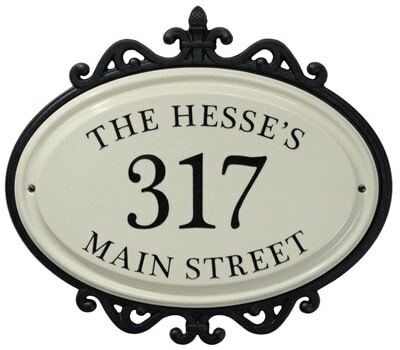 The Hillsdale Three Line Address Plaque holds up to twelve 1″ characters on the 1st and 3rd lines and five 2″ numbers on the 2nd line. 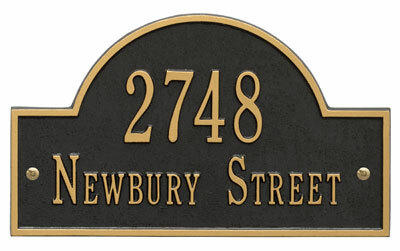 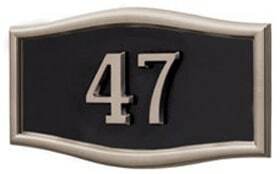 Address Plaque 15.62" 17.6" 0.5"